The ANC is currently a party plagued by scandal with corruption allegations dating back to Jacob Zuma’s election in 2009. He denies the allegations, but it has caused a rift in the party. So what could the election of Cyril Ramaphosa as leader mean for the ANC? Associated Press’ acting Africa editor, Andrew Meldrum, spoke to Euronews journalist Sarah Taylor. "Ramaphosa, campaigning on an anti-corruption ticket, won by a very tight margin of just 179 votes. What does he need to do to reunite the ANC and to gain the backing of the almost 50 percent of party members who voted for his opponent?" “Cyril Ramaphosa is an experienced politician and negotiator and he’s going to have to use all of his talents to bring the party together and to have it act effectively. "The ANC faces elections in 18 months’ time – the national elections – and for Ramaphosa to win as president and for the party to retain its control of parliament, the party is going to really have to show that it is governing more effectively and taking action to eradicate the corruption that crept in, that really swamped – that started to creep in and just swamped – the presidency of Jacob Zuma. "Battle lines were very clearly drawn as the vote took place. Some senior party members shared how they voted on Twitter. But the party has, historically, been quite private about its internal affairs. Why do you think there’s been such a break with tradition this time?" "We know that Cyril Ramaphosa, as the new party leader, is likely to become South Africa’s next president when general elections come round in 2019. That’s over a year away. 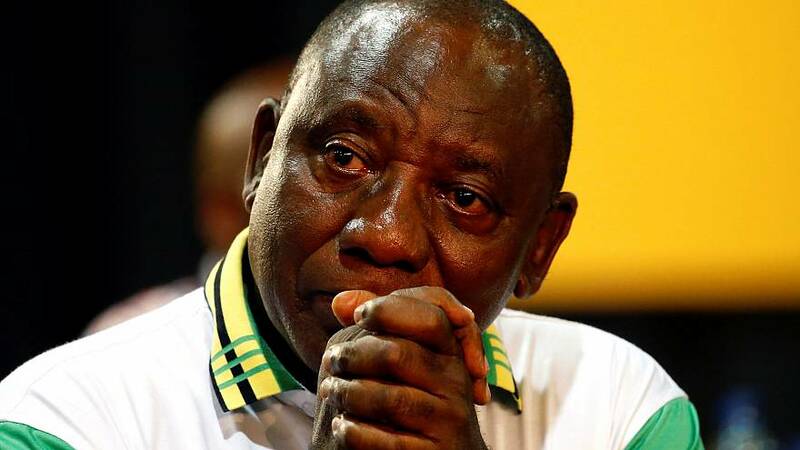 What’s the feeling about Ramaphosa among South Africans right now? Is there popular support for him? What does he need to do – if anything - to win over voters?" “Yes, he is a popular candidate. One thing that we can see is that in the business community, he’s a very popular candidate and just on the strength of reports that he was going to win the ANC leadership the rand strengthened significantly yesterday. Strengthening so that it’s the strongest position it’s been I think since March of this year. So, the business community likes him very much. "But, I think what is most important is, of course, amongst the general population and that is a little bit harder to quantify. He’s well-known from his years as a trade union leader and also from being a key negotiator to bring about the end of apartheid. "In last year’s local elections, the ANC polled its worst result since taking power. If the party were to split, what is this likely to mean for the two new parties’ or movements prospects in 2019? And what about South Africa’s stability, moving forward?" “I don’t see the party splitting in the next year, or before the elections. I see that there will be turf battles within the party. That started more than a year ago and I think it will continue, but I don’t think that the party will split.